Hi everyone, I hope you're well and enjoying the weekend. Managed to get the May Tim tag done today and although I don't have a huge amount of the more decorative ideology pieces, I did have enough to complete the tag. This time everything on the tag is a TH item which I think is a first! 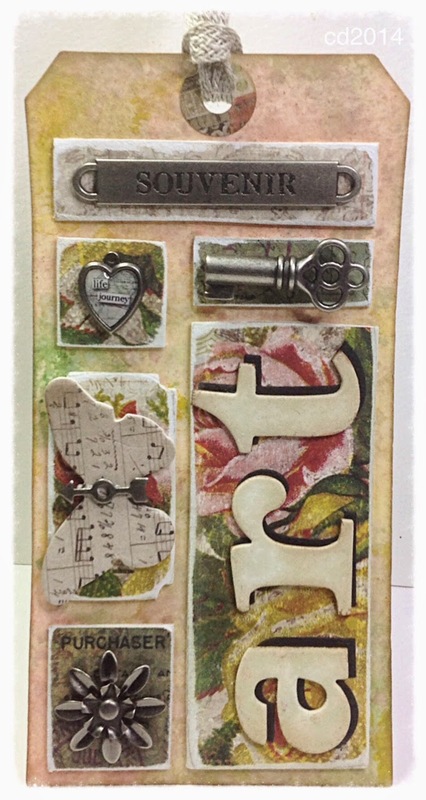 Tim Holtz's tag for May can be found here. I didn't have the letterpress folders so I improvised with the wordplay die and cut the letters from chipboard and then cut them again from black card so that I could create a shadow effect by overlaying them. I chose paper from the TH Menagerie paper pad and created my distress ink background to match the floral parts of the paper in tattered rose, mowed lawn and mustard seed. I'm enjoying the tags I've managed to do so far although I still have a couple that I need to post that were made but not in time to add to Tim's site. If you've been joining in with this I hope you're enjoying it too. Lovely version, I love looking at all these,it's amazing how different they all are. Just shows how inventive crafty people are! Such a beautiful and inspiring tag Chris, sorry I haven't had time to visit for a while, I'm really busy now that I'm running Simply Magnolia but love to catch up and see your wonderful works of art! Loving all the gorgeous tags you've been creating! Each and every one is a magnificent work of art! Beautifully done - so professional - wait a minute - you are a professional!!!!! Great work Chris! I have always been curious about TH press but it seems like a money pit so I have hesitated to get it. Do you own one? 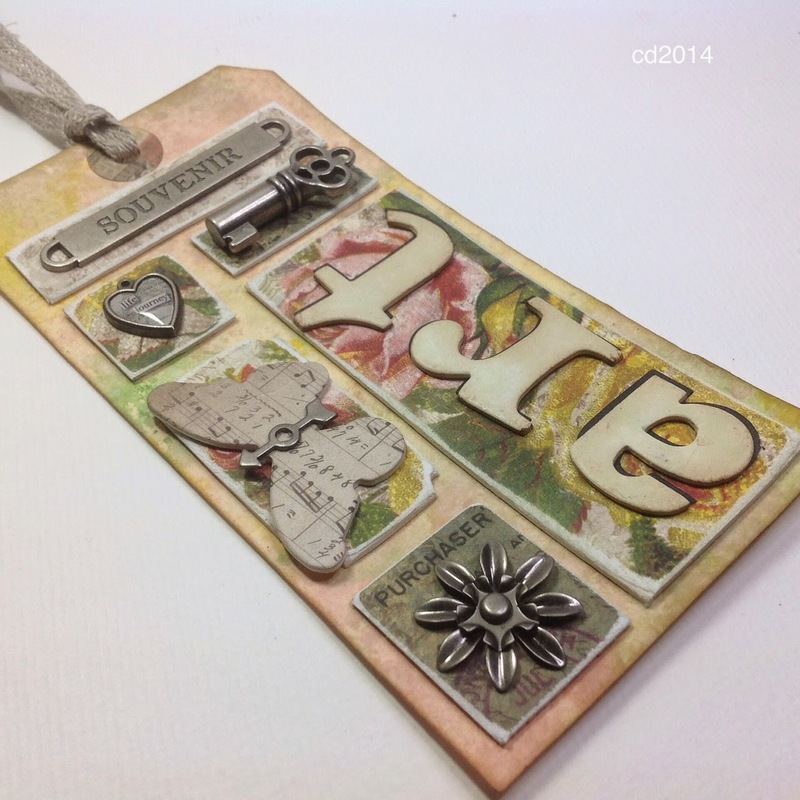 Oh, lovely - so pretty and fresh - a great take on the May tag! YOU DID IT AGAIN!!!!! Congratulations on your win and ofcourse you would - this is simply stunning! Congrats on your win over on Tims site! SUCH a pretty tag! I love the flowers and "Art". So nicely done! Congrats on your win at Tim's Tags! Congratulations on your lovely winning tag in Tim's May Tag challenge! It's so pretty and your floral backgrounds are so happy! Fabulous! Congrats, again! Hi and welcome to my blog. This is my space to share the cards I enjoy making and my artwork. Thank you for visiting today. 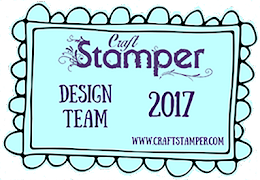 Delighted to be designing for Craft Stamper.